Discussing the content strategy with TA telecom’s Executive Chairman Amr Shady, Hassan suggests adding cartoon clips and quotes to mobile subscription-based services. “The content offered is so boring for kids my age,” says Hassan, explaining that TA telecom needs to offer more engaging content services to children. After a long debate and a lollipop, Shady was able to convince Hassan that children won’t be able to subscribe to such services and building mobile applications would be a better option. 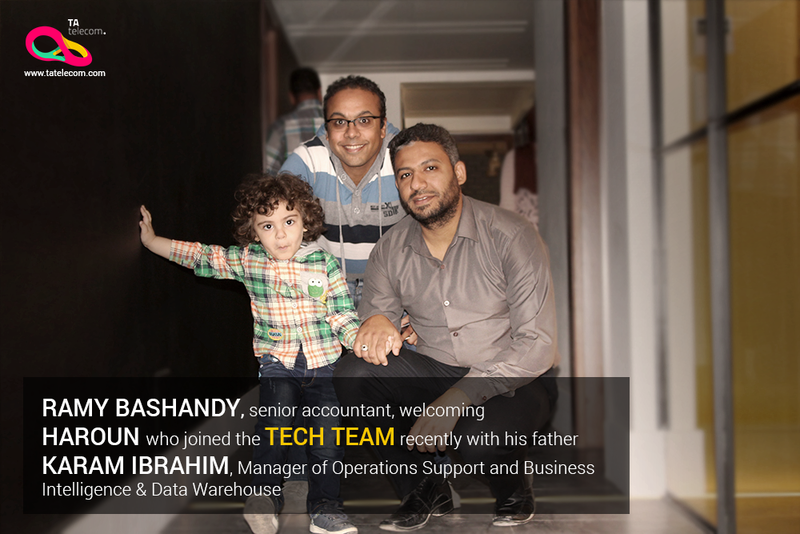 Shady believes in harnessing the creative energy of children in analyzing big data, building analytic tools and developing mobile applications. In a fruitful meeting with Malek Omar who contributes with ideas for children’s content, Shady rewarded the 2-year-old with a tablet for generating new concepts. “Under-fives are the smartest. They think out of the box and deliver innovative ideas that can revolutionize the African mobile market for their age group,” Shady says. Berry Ramy shows up at the corridor to deliver a document to HR Director Nermeen Salem, proposing a new benefit to under-five employees: A free Billy Beez voucher and unlimited candy hour Thursdays. Lilia Ahmed is still too young for candies. 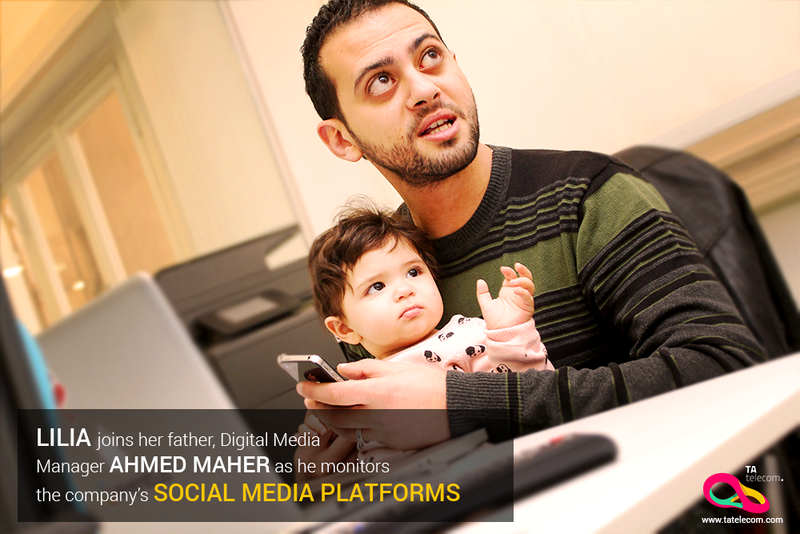 The 11-month-old baby girl sits on her father’s lap as he manages the company’s social media platforms. After a few weeks of exposure to digital marketing campaigns, Lilia was able to take her first selfie with her dad. Hassan leaves the VIP meeting room to discuss the next big thing in animation apps with Haroun Karam, who recently joined the tech team for having a super photographic memory of numbers. “Ideas proposed by the under-fives team contributed significantly to producing new products for children mobile users,” says Shady as the kids giggle and run through corridors. The Kidovation unit was established on April 1st, 2015. Happy April Fools Day!